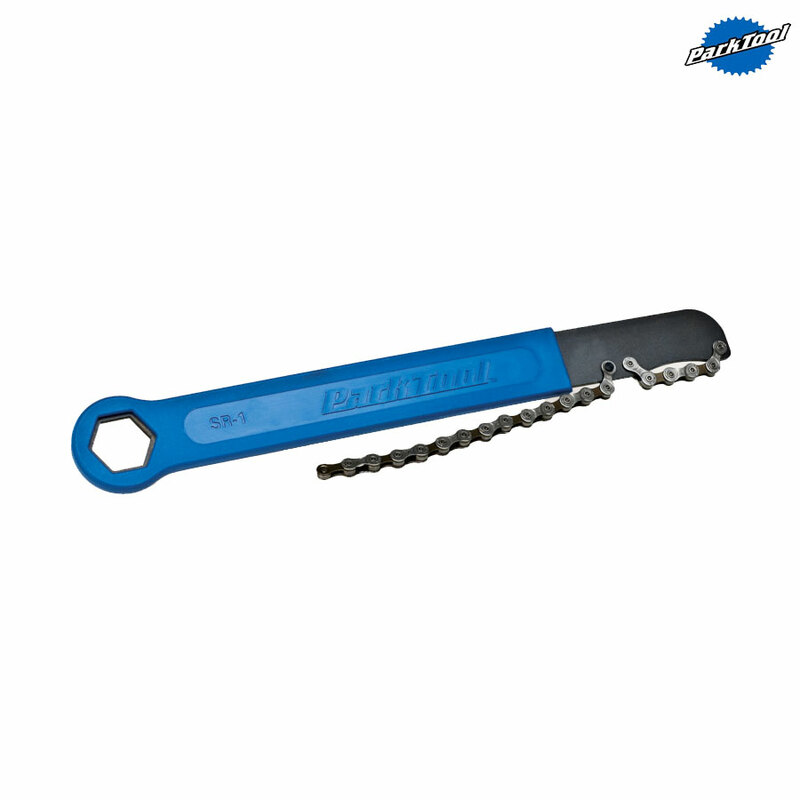 This combination chain whip and freewheel / lockring remover wrench is heat treated to prevent bending and flexing. - Features hardened pins to keep the chain in place and a comfortable handle. - Hex opening fits Park Tool freewheel removers. - The SR-1 is approximately 14" long (35cm). - Works on 10 speed rear cog systems, as well as 7, 8, and 9 cog systems.